Doors of Elegance frequently installs obscure glass in the New Orleans and Mandeville area. This type of glass is translucent, meaning it does allow light to filter through into the room, but it is not completely transparent. Depending upon the level of transparency, it can be very difficult to impossible to see objects on the other side of the glass. 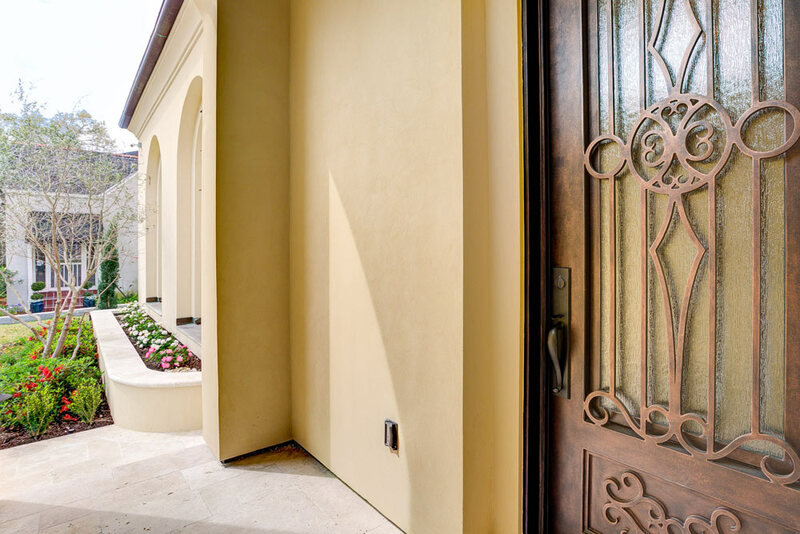 This type of glass is available in a wide variety of styles and patterns, perfect for any architectural design. There are numerous ways that glass can become obscured, and each has its own benefits. Beveled glass is one of the most popular forms of obscured glass provided by Doors of Elegance. This type of glass features small pieces of glass that have been shaped into a beautiful design. This might include clusters of teardrops or diamonds covering the entire surface of the glass. These shapes are able to cause the glass to be obscure because the different angles of the shapes catch and reflect the light differently, often creating a nice sparkling effect. Glass can also be obscured through techniques such as frosting or leading. Frosting refers to when the glass appears somewhat foggy or cloudy, and is often used in bathrooms. 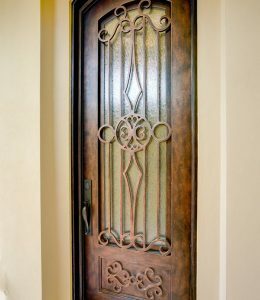 Leaded glass refers to the practice of interlocking pieces of glass using lead. 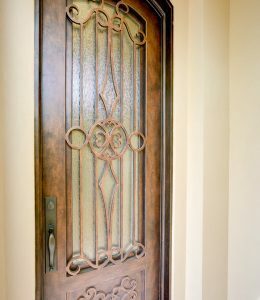 Doors of Elegance provides leaded beveled glass in zinc, brass, lead, and patina caming. Each of these techniques can be applied to the point where the glass would become obscure and viewers would not be able to see through the window. Obscure glass will often incorporate various patterns into the design in order to reduce the transparency. The glass may have a pattern covering the glass such as raindrops, a ripple effect, or another design used to manipulate the surface and appearance of the glass, obstructing the view of what is on the other side. Our design specialists can help you choose from the many different glass patterns available. Many varieties of obscured glass tend to be well-insulated glass as well. Obscure glass often requires thick glass and/or multiple layers of glass in order to achieve the obscured affect. Insulated glasses also have multiple layers, with an insulating layer in the center. 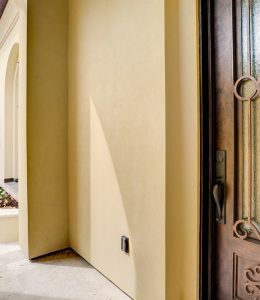 Therefore, these two designs often work hand-in-hand with one another, and it is typically easy to find many great obscure designs that also have high insulation ratings. 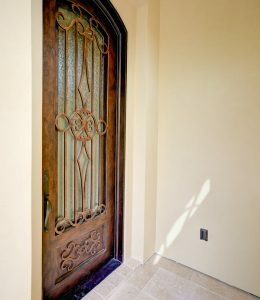 Obscure glass is most commonly used in areas where homeowners would like to allow sunlight to enter the room, but do not want to sacrifice any privacy. This type of glass is commonly used in doors and the matching sidelights surrounding doors. The installation of the glass immediately opens up the entryway of the house, and the increase in light makes the area feel more spacious. Because the glass is obscure, those in home can enjoy more security knowing that people who are outside cannot see them. 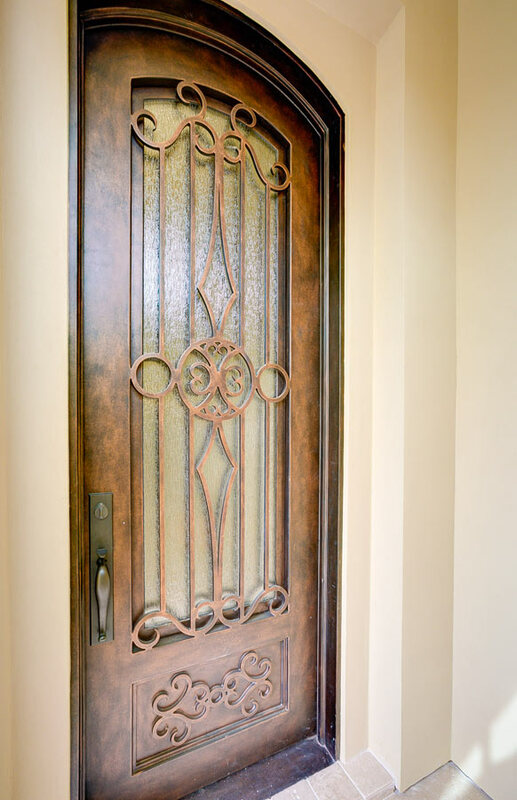 Installing doors and sidelights with obscure glass can be a very challenging task, especially considering many varieties of this glass are both delicate and heavy. 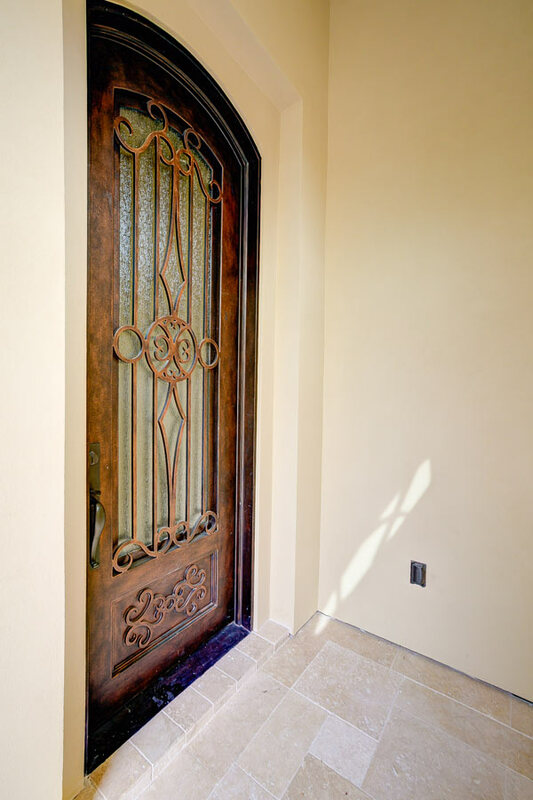 In order to avoid costly mistakes, and possible damage to the door or the glass, it is best to have these items professionally installed. 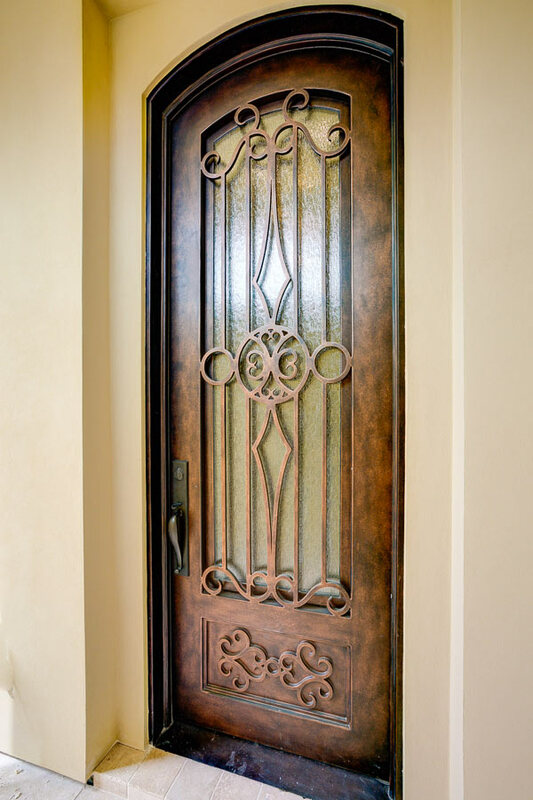 Our experienced team of installers at Doors of Elegance can take care this hassle for you; visit or contact any of our locations to learn more about this process.